Ken Sharp has a keen sense of pop music history. As a writer, scribe and pundit, he’s made his voice heard through critical commentary for a variety of publications. As a musician, he’s amplified those lessons he’s shared and made them his muse. 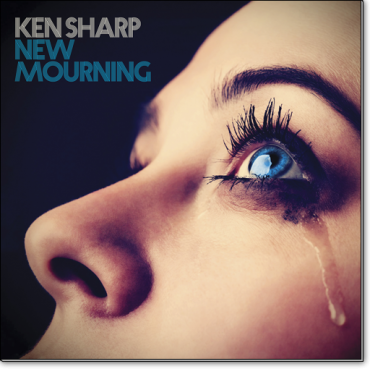 His latest album, New Mourning, is but one clear cut example. It’s filled with archival sounds, most of which echo traces of the British Invasion while leaning heavily on a progressive approach that reflects heavily on the Beatles and ELO. Even a perfunctory listen bears that out, but on songs like “Satellite” and “1000 Guitars” that expressive style is clearly obvious. Sharp himself penned all the songs, and while titles such as “The Worst,” “Haunts Me” and “Bad News” would seem to refer to the downcast theme inferred in the title, the executionis anything but dire or dismal. To his credit, Sharp enlisted some of the best back-up musicians around — co-producer and go-to guy Fernando Perdomo, the Knack’s Prescott Niles, Ritchie Rubini, and Rob Bonfiglio among them, while securing cameos by Rick Springfield and Wally Stocker of the Babys as well. Sharp himself handles the bulk of the instrumental duties, and its his clear love of a pure pop essence that finds these melodies ringing with such richness and authority. Sad subjects aside, New Mourning is awash in an unabashed celebratory spirit and, dare we say, a wholly sense of genuine joy.